On my trip to Flores I stopped at Bajawa, which is about half way between Labuan Bajo (for Komodo National Park) and Moni (for Kelimutu National Park). 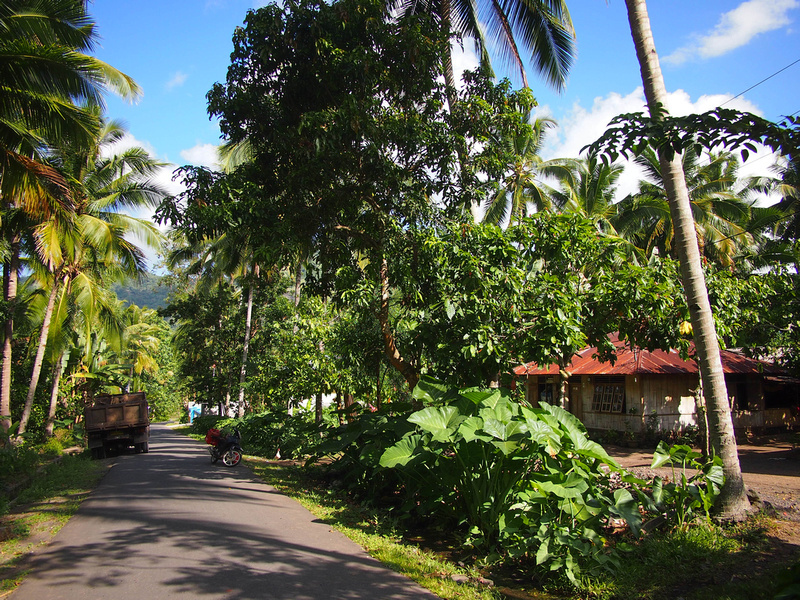 If you are travelling overland in Flores it’s worth stopping regularly as bus travel is arduous. 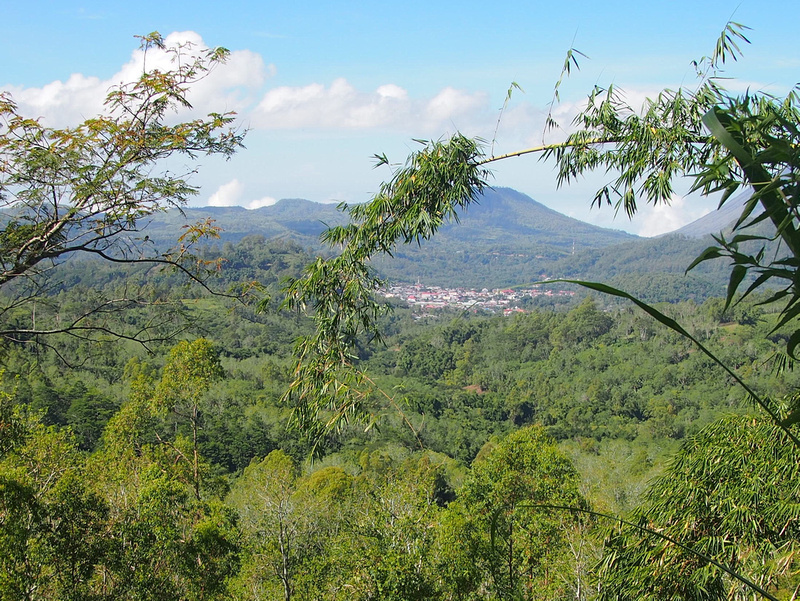 Bajawa is a small market city in the hills with a cool climate, which is especially refreshing if you have been spending most of your time in Indonesia at sea level. 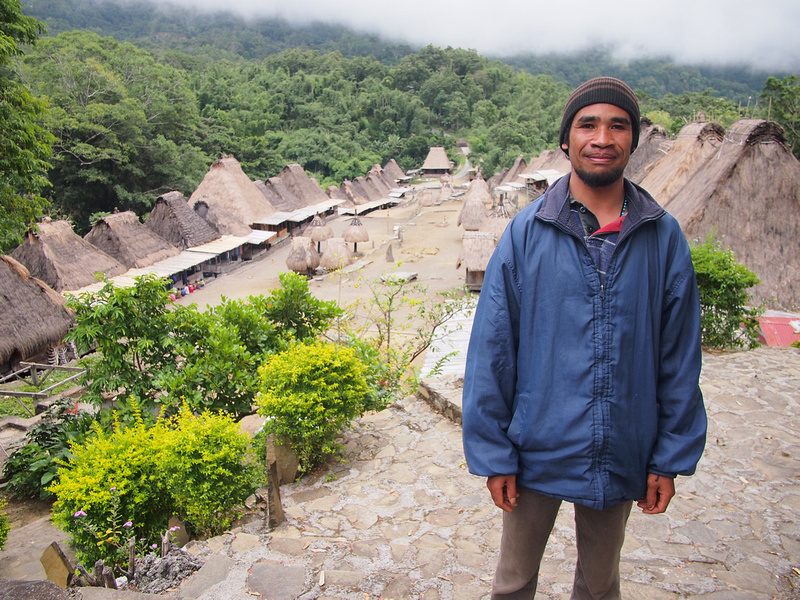 There’s not much nothing to do in Bajawa, but it is a good base to go on day trips in the surrounding area. 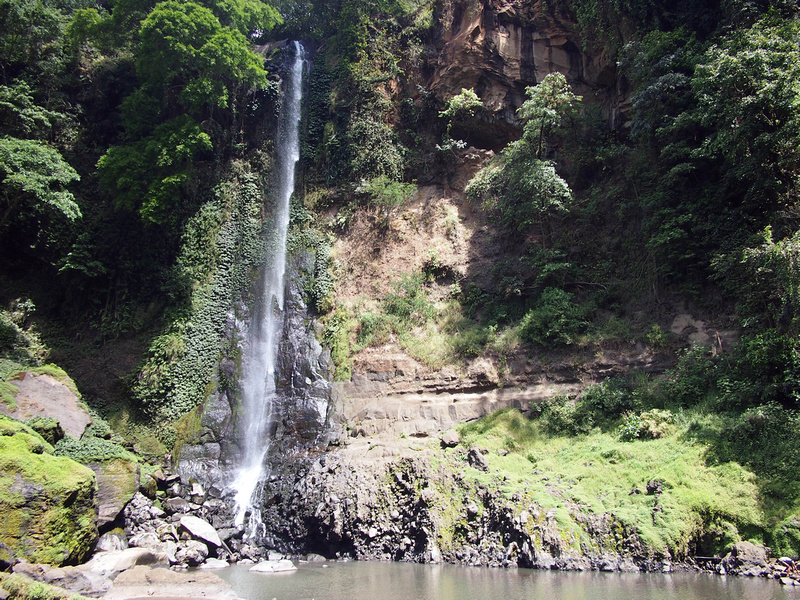 The most popular sights are the volcanoes, some traditional villages, and hot springs. The last thing you want after being on a bus for 10 hours is to be greeted by a gaggle of touts waiting outside the bus. I always hate going through this ritual when arriving in a new town and I usually just ignore them. Normally I would walk from a bus stop but here the bus dropped us off at the junction outside of town, so transport of some variety was required. I was doing my best to ignore the touts but this one guy got through to me. He was softly spoken and didn’t have the aura of a hustler. I asked how much for a bike ride into town and he quoted 5000 IDR (0.40 USD). That seemed more than reasonable as I was bracing myself to haggle my way down from a ridiculous price. A German traveller I made friends with on the bus then asked about cheap hotels, and we were recommended the Hotel Johny, which was nearly half the price of anything listed in my friends Lonely Planet. With that offer we accepted the ride and got a room each at the hotel. Of course after we got our hotel rooms we got the expected upsell of a tour for the next day. I asked for the details and the tour involved a hike to a volcano, a visit to a waterfall, traditional villages, and finishing off at a hot spring. The total for the day was 150,000 IDR ($12.50 USD). That was also more than reasonable so we took him up on the offer. Here is what the tour took in. 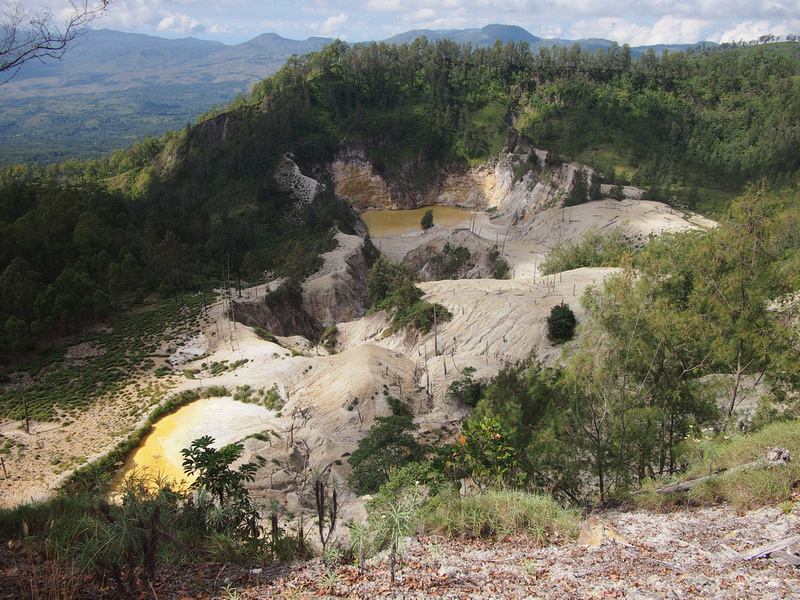 Wawo Muda is a volcano that last erupted in 2001 and creating two crater lakes in the process. It is about an hours walk each way to reach the viewing point for the lakes. An underwhelming waterfall but it was worth the ride through forests and along rice paddies. 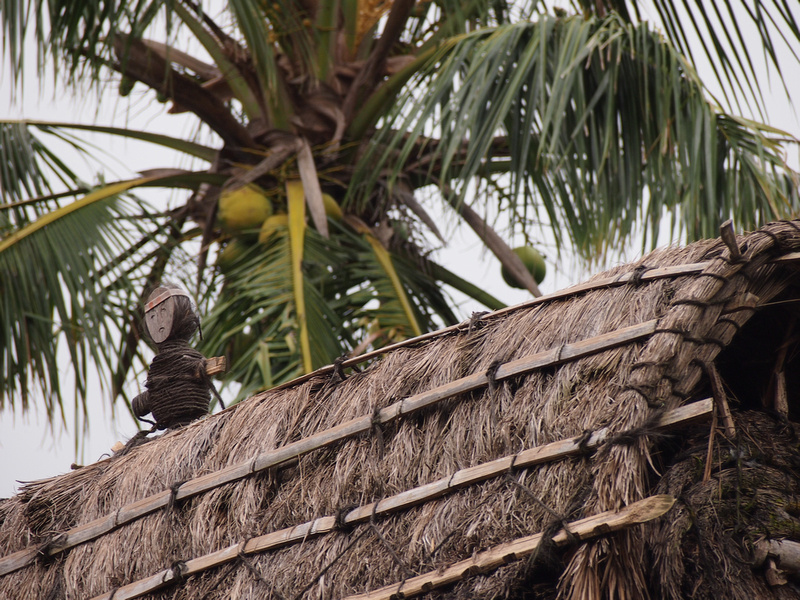 Around Bajawa there are traditional villages where the original style housing has been preserved. 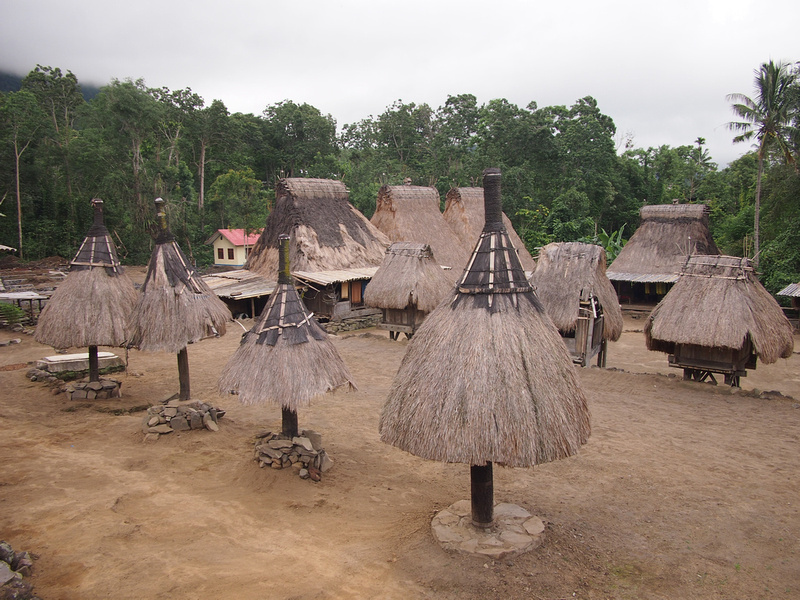 There are a number of these villages in the area, with the most visited being Bena Village. At each village there a guest book with a small suggested donation, and you can buy handcrafts and fabrics made in the village. I feel weird about going to these places, like it is some kind of human zoo, but at least there weren’t weren’t busloads of people there. We were the only visitors at the time. The people in the village just go about their usual business and at least with a guide he was able to talk to them in their local language (which is not Bahasa Indonesian). We finished the day at a hot spring. I’m glad I didn’t hire a bike myself as I’m sure I would have got lost. Plus it was good just to take in the scenery from the back of the bike. The hot spring pool is at a junction where hot volcanic water from one stream meets cold mountain water from another stream. The trick here is to find a pool that is just the right warmth. 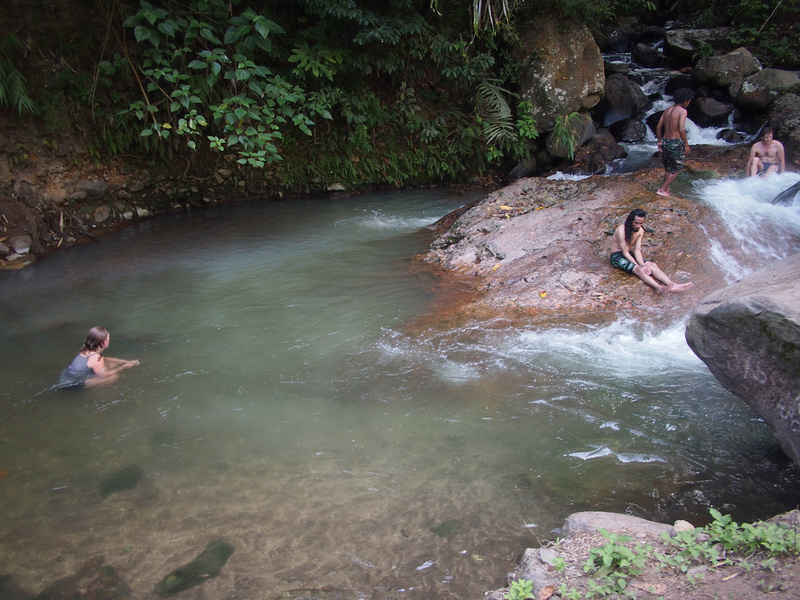 Once you find that spot it is hard to get out, especially as this was the first hot bath I had had in Flores. I’m glad I didn’t heed that advice as our guide was useful and well priced, and it saved me the hassle of looking for all the places we went to see. Like anything you read online (or guidebook), use it as information and make up your own mind. It’s a lovely place! specially the waterfall. The place of Wawo Muda is also very nice. thanks for sharing your experience. Any chance you have the phone number for this guide?